Did you have an original Cabbage Patch doll? I sure did! My mother meet someone in a parking lot in the 80’s to score one for tiny little MamatheFox, back when I was just a toddler. I loved my doll and hoped my daughter would love them one day too. However, instead of loving dolls, she loves tiny plastic toys. Ones that she can carry in her pocket or purse. 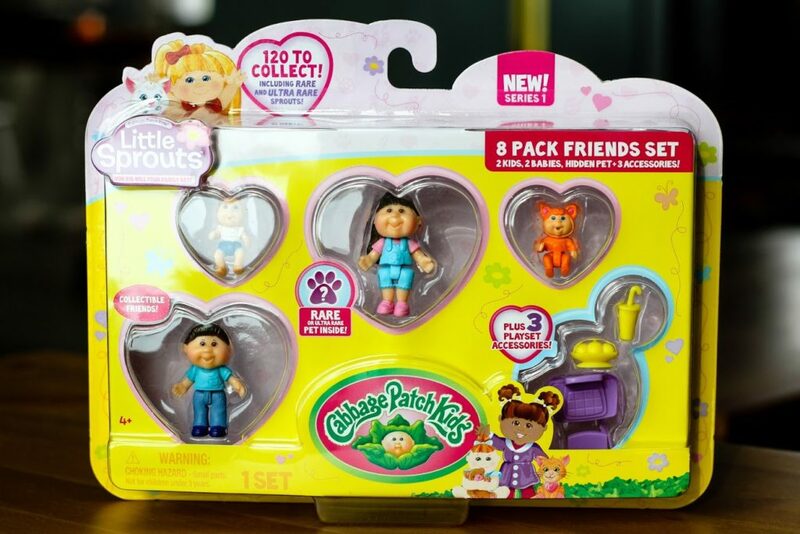 Cabbage Patch Kids – being a leader in the toy industry – knew that the tiny toy theme was something they should jump on – and boy, oh boy, are we glad they did! My 5 year old daughter loves her CBK Little Sprouts. She carries them in her purse, her pocket and of course her hands too. We love making them act out stories, silly situations and regular reenactment play. You can use the play-sets that Little Sprouts have provided for us, or you can encourage your child to take an old box (got a few Amazon boxes laying around?) and give them a hand full of crayons to create their own playset. My kids have made a pool, a rocket ship and treasure chest this past week alone from the boxes I have passed their way. Using their imaginations they can create the perfect set ups to use with their Little Sprouts. 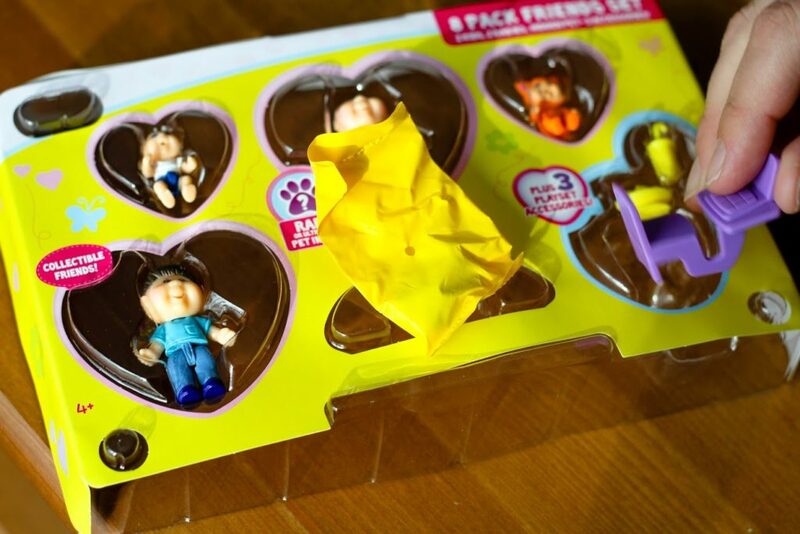 We love that the 8 packs have a special blind bag with an extra surprise. The one set we opened has a fuzzy dog in it! The kids are thrilled to play with these amazing new toys. Little Sprouts make the best stocking stuffers and holiday gifts this year. They are affordable, fun and just what small kids are asking for. The 4 Pack set includes 1.5″ Kid, 1″ Baby, .75″ Pet figure & a HIDDEN accessory! 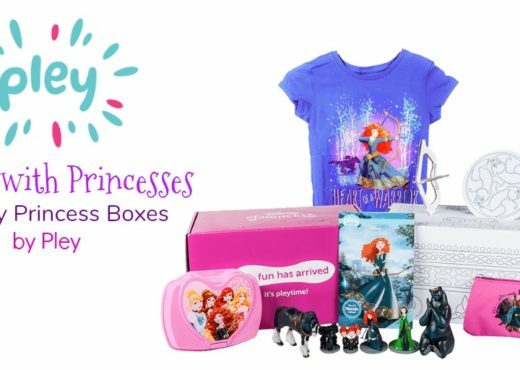 The 8 Pack set includes two 1.5″ Kid figures, two 1″ Baby figures, one .75″ HIDDEN fantasy pet & three accessories! 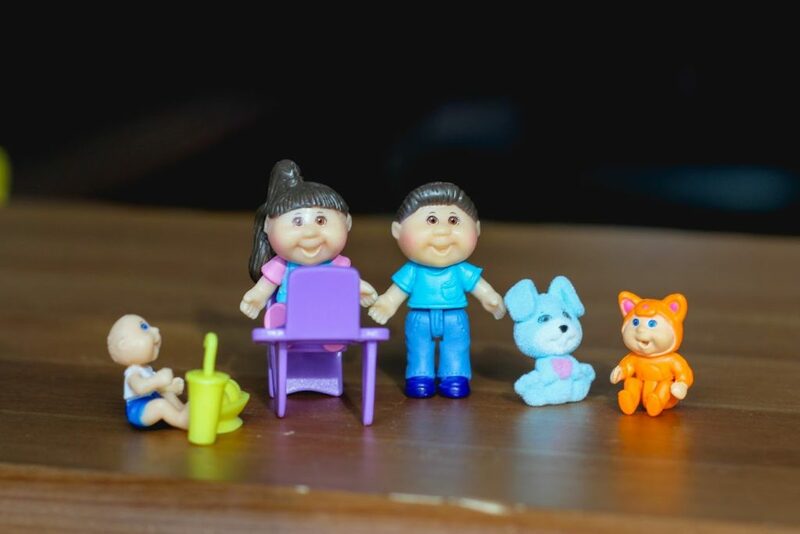 The Little Sprouts 1.5″ Kid and 1″ Baby figures include articulation for sitting – which makes play even more interactive and allows the child playing with it use their imagination even more. Collect all 120 Little Sprouts kid, baby, and pet collectible figures and set off on an exciting new adventure every day! Cabbage Patch Kids remind me so much of my childhood. I love that they have these figurines, as that is all my daughters want to play with. These are so cute! 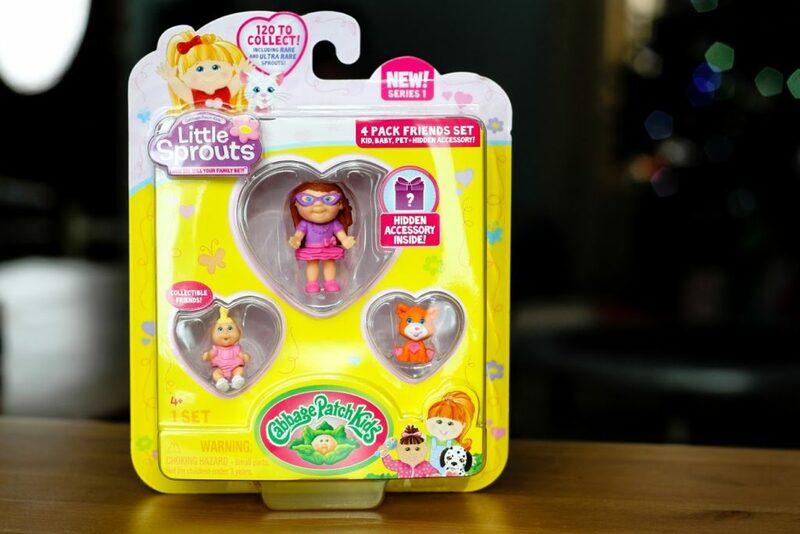 Reply	Cabbage Patch Kids- Little Sprout Giveaway. 120…. I need to start collecting! I will play with my granddaughter! I loved Cabbage Patch Kids when I was little. I’m so glad they’re making a come-back. Reply	Cabbage Patch Giveaway - Here We Go Again...Ready? These really bring back memories. My sister used to drag her Cabbage Patch doll everywhere. Thanks for the giveaway! I didn’t know they were back. So exciting! Now I can buy them for my grandchildren! My kids love using fun toys like these for creative play. These Little Sprouts are so cute. Tiny enough to take anywhere. Great for traveling with kids. I didn’t know they had such small Cabbage Patch kids toys! My daughter’s had the dolls with the birth certificates. These toys remind me of the little Shopkins toys that my granddaughters collect. So cute! These bring back so many awesome memories..my Cabbage Patch babies were my absolute favorite as a child. These would promote HOURS of open ended play! I was a big Cabbage Patch Doll fan when I was a kid. My daughter would love these collectibles. All of my granddaughters would love to have these. I love the Cabbage Patch Kids, they are so cute! These would make a very fun and cute gift for a little girl. I’d love to give them to a friends daughter. My daughter had a boy cabbage patch doll and a bald girl cabbage patch.These are perfect for my granddaughter.She loves little toys like this. I had an original Cabbage Patch Doll too. Now I have two nieces and would love to introduce them to Cabbage Patch Dolls and Little Sprouts. I think they would love them as much as I did my Cabbage Patch Doll. Thank you for the great review! These Little Sprouts are really cute! I always loved my CPK babydolls when I was young! I had a cabbage patch doll as a kid. I would love for my daughter to have these! This sure brings back so many memories !! These are so cute. Mini Cabbage Patch kids. My granddaughter would love them. These are so cute. I use to have a cabbage patch doll when I was a kid and know my little girl would love playing with these. I had Cabbage Patch dolls as a kid. These are so cute! My daughter would love these! I looooove these!!! I have never seen them before but omigosh I am going to look for them now! I think my G-Daughter would LOVE them! The Little Sprouts are so adorable. I have to get these for my grand daughters! These are so cute and my grand daughter would love these. The school house and play ground would be so much fun. My girls and I love Cabbage Patch kids. They are so cute! These are adorable! They remind me of a play set that me and my sister had when we were little. We loved it! These are SUPER cute! 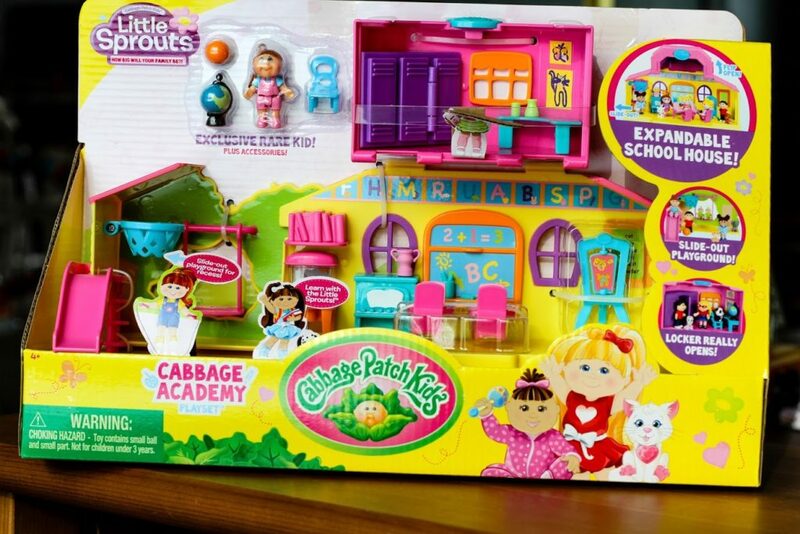 Thanks for sharing the review, we love Cabbage Patch! Back when I was a teenager I remember when the regular sized cabbage patch dolls came out. People were going crazy to get one of these for their kids. Brought back memories saying these little ones. These are adorable and my kids would love to play with them. They remind me of the little people are used to play with when I was a little kid. It’s great seeing the toys from my childhood, making their way back to where my grandchildren can enjoy them too. Jayme loves Little Sprouts. These little Sprouts are the cutest ever.. I can see why these are wanted by little kids. They can grow their collection and really use their imaginations. Thank You for the enjoyable review!